The RunRabbitRun is a tough 100-plus mile race in Steamboat Springs, Colorado. 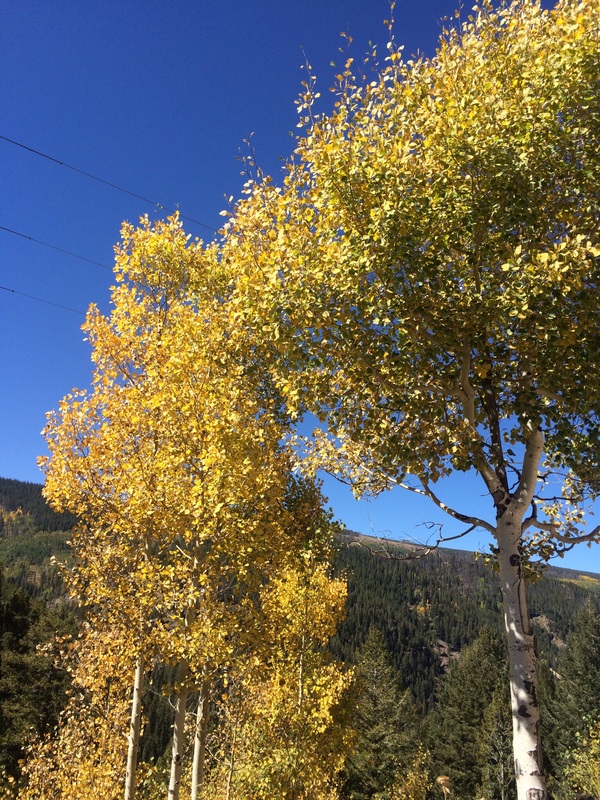 It’s in September, usually just when the aspen leaves turn golden. It’s also on the very short list of Hardrock qualifiers, unlike Western States or Leadville. So when a bunch of my friends signed up for it, I gave in to peer pressure, adding a third hundred-miler to my 2015 calendar. There are two divisions at RRR: Tortoises get to use trekking poles and pacers, and they have 36 hours to complete the race. Hares, on the other hand, start four hours later, run on their own, and have to finish in 30 hours. The top seven Hares are also eligible for a substantial amount of prize money. My husband David, usually my source of support, could not get off work, which meant I would not have a pacer or a crew anyway. 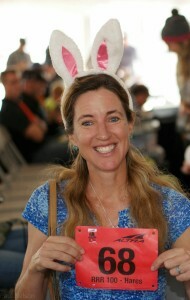 Like a fool, I signed up for the hare category. 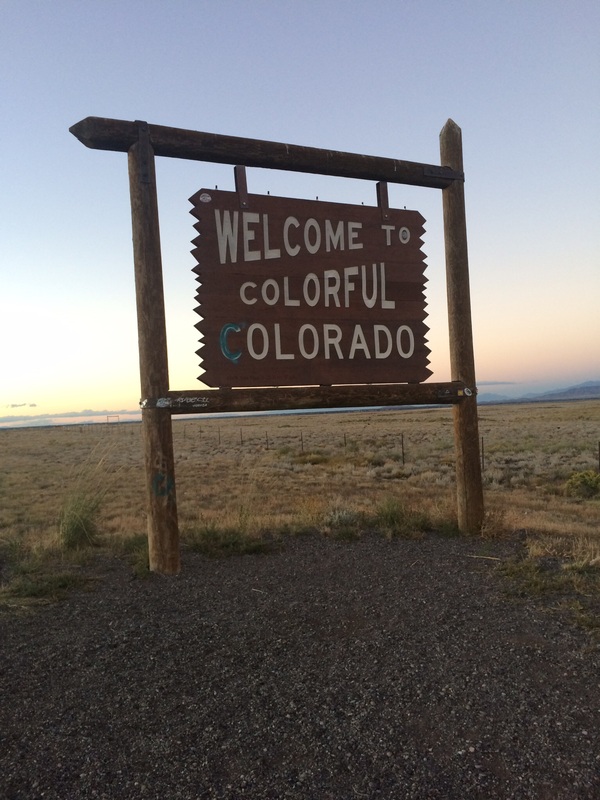 Four weeks surely was enough time to recover from Leadville. And six days were enough time to recover from the Imogene Pass run, which I had planned to use as my last long training run but ended up racing as hard as I could the weekend before. Real Hare, or Hare impostor? On race morning, I have plenty of time to question the wisdom of my choice. Except for Shannon Meredith, all my friends, even the very fast ones among them, chose to be tortoises. They start at 8 a.m. under low, drizzling clouds. I have four hours to kill before the Hare start, which I should spend in mindful meditation, visualizing my race, or napping, but instead spend drinking too much coffee and looking up my illustrious competition on ultrasignup. I am ranked near the back of a very deep, very competitive field of ultra running’s superstars. What have I been thinking? By mid-day, the sky is blue again. I head over to the start, where, considering the ultrasignup predictions, I line up near the pack of the pack, next to Shannon, who apparently had the same idea. At 12 noon, a sea of neon colors and rippling muscles cascades up the ski slope to the top of Mt Werner, the first of many brutal climbs totaling 21 000 feet. I am a pretty decent power hiker, but feel like a slug in this crowd. Not wanting to wear myself out with over 95 miles left to go, I do not push too hard, with the predictable result that by mile ten, only a couple of hares straggle behind me. Being in the very back of the pack – behind the fast hares, but also four-plus hours behind the tortoises – feels unsettling. Usually, I start somewhere in the middle, then move up after the halfway point. But now, I wonder about the cutoffs and whether I am staying ahead of them, not something I ever wondered about before. The afternoon passes quickly as I make my way back down the rocky, technical Fish Creek trail to Steamboat Springs and back up another mountain on the other side of the town. The singletrack section toward Cow Creek is among the most beautiful sections of the course: rolling hills, oak trees, sweeping vistas. The setting sun intensifies the glow of the golden leaves. Squirrels dash across he trail. Larger animals – I try to imagine deer, not bears or rattlesnakes – rustle in the trees. Otherwise, not a soul is in sight. This is my source of joy and peace, my happy place where the chaotic world makes sense. At Cow creek, friendly volunteers await with hot soup and encouraging words, and my warm clothes and lights are waiting in the drop bag. It’s still warm, but cooling down quickly, so I slip on long tights and a jacket, then slurp a cupful of Ramen noodles. Several empty clif blok wrappers go into the trash. I am sick of clif bloks already, earlier than usual in a 100, maybe because dinner time has arrived much earlier than usual. RRR offers honey stinger waffles at aid stations, so I stuff a couple of these in my pack before taking off, worried about the cutoffs. Luckily, another runner I pass a couple of miles later seems well informed and reassures me that we’re a couple of hours ahead. Relief washes over me. I am not in a particular hurry, since my only goal now is to finish in under 30 hours, which will get me into the Hardrock lottery, but I do want to finish. Darkness falls. It’s chilly, but not too cold yet. By 10:30 p.m. I hike up the technical section along Fish Creek falls. Though I am careful, I move well and pass several runners. It’s difficult to tell whether they’re Hares or Tortoises, but at least I no longer feel like the last rabbit on the trail. My headlamp dies, much sooner than expected, but my little powerful flashlight is plenty bright. The honey stinger waffles quickly become my new favorite ultra food. A little harder to unwrap, a little messier than clif bloks, but they taste great, and they show no inclination to come back up once swallowed. One per hour gives me 160 or so calories, which tends to be enough for me. I tear open another package around midnight. Thus distracted, I don’t see a large mud puddle on the trail and slip right into it, landing on my knees. Muddy tights, muddy flashlight, muddy gloves, muddy waffle. I hate to waste food, but this one is beyond salvaging. I’m wet, I’m back in the high country, and it’s getting colder. It’s a consolation to know the Long Lake aid station is just ahead. I pass another runner, a shapeless figure, bundled up in voluminous layers like everyone else. A familiar voice calls out my name. It’s my friend Rachael, progressing at a slow but steady pace. We get to the aid station with its party atmosphere, where we add more warm layers on top of the ones we already wear. I find dry gloves and dry socks in my drop bags and almost cry tears of happiness. On the other hand, my headlight stays dead in spite of fresh batteries. After a moment of panic, I remember the flashlight, which allows me to continue. Still feeling strong past the halfway point, I hug Rachael good-bye, then exit at a brisk jog, trying to stay warm. It’s a cold, clear night. I marvel at the bright stars above me, but the downside is that it keeps getting colder. My breath forms icy clouds as the miles go by, no longer flying, but not yet crawling. This is the part of a 100 I enjoy most: running alone in the dark, under a blanket of stars, following the bubble of brightness my headlamp (or, today, my flashlight) projects just ahead. One foot in front of the other. Breathe in, breathe out. Human existence, reduced to its most basic components. I add some music. The Talking Heads sing It’s a Wild, Wild Life. Yes, it is. I love my wild, wild life. 1 a.m, 2 a.m, 3 a.m. I run alone most of the time, passing others who are walking, among them Shannon, who still looks strong. My stomach cooperates for once. Maybe it has fallen in love with Stinger waffles, maybe it just realizes how important calories are in these extreme conditions. There are more warm layers waiting in my drop bag at Summit Lake. 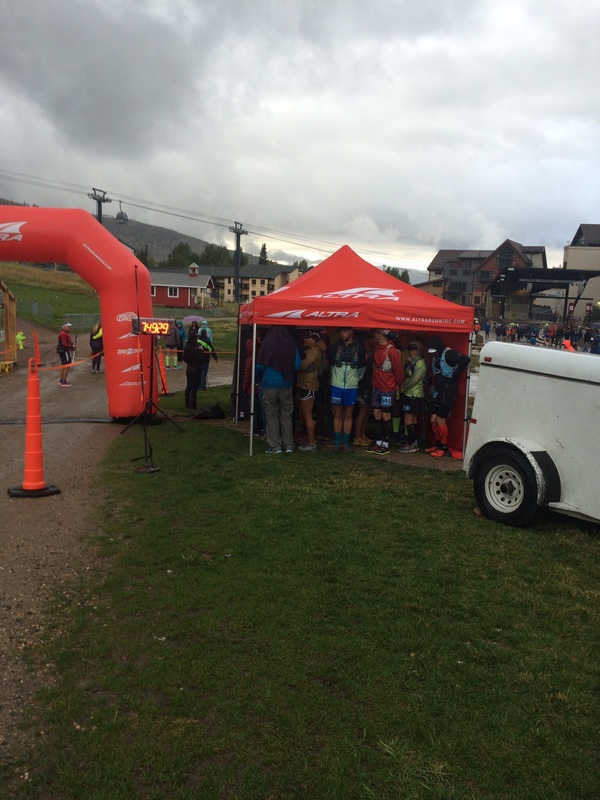 Hypothermic runners huddle by the heater inside the tent. I still feel warm, but add another jacket as a precaution, just in case I have to slow down. The trail down to Spring Creek looks beautiful, even in the darkest hour before dawn. Leafy vegetation, a creek, narrow wooden bridges. During the climb back up, exhaustion settles into my bones while the first hint of daylight dawns on the horizon. The morning sky turns grey, then pink. 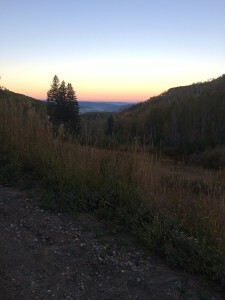 A glorious sunrise gives me a fresh bout of energy, as do the sweeping vistas of mountainsides covered in golden aspens. Still, the long uphill on a dirt road is no joke. Once up, the sun makes me squint. I am now getting hot in my ten-layer bag lady outfit, puffy jacket and all. This course is like the sharp blade of a serrated knife. Like a shark’s jaw with its three rows of pointy teeth. Like the scariest ride at the amusement park. But at least this is the the last major climb, and it’s over by mile 80 when I get back to Summit Lake. The cold night has taken its toll on my reserves. I actually feel hungry. Time for a hearty breakfast of eggs and tortilla, even a piece of bacon. I strip down to shorts and a T-shirt. My drop bag yields a spare pair of sunglasses and a cap. 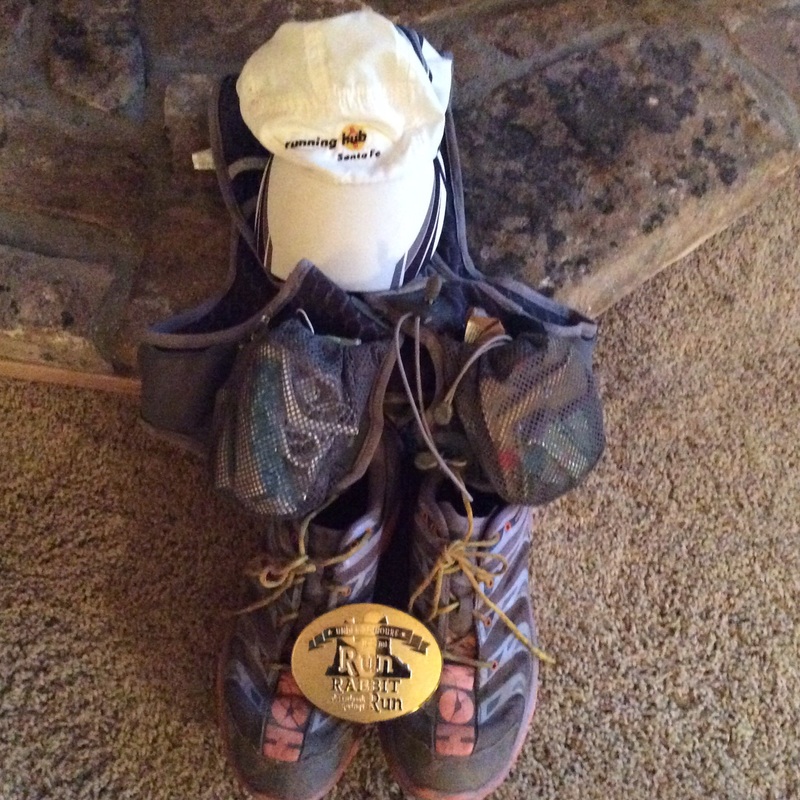 Thinking I am all set for the last twenty miles, I yell a confident “68 out” and leave. Wait, not so fast: it’s colder than I thought. Back to the aid station for a jacket. Once again, I announce “68 out!” A few yards later, I glance down at my shorts: no number. It’s still pinned to my tights, which are back in my drop bag at the aid station. Time to turn back one more time. The volunteers glance at me, probably wondering about my mental state and whether I am fit to go on. I wonder the same thing. But then I say my final “68 out . . . for good! and leave, for good. A rolling trail brings me back to Long Lake. According to the mileage chart, it’s ten miles from there to the finish, making the course 102 miles long instead of 100. I calculate a sub-26 hour time, which seems decent enough, considering the challenging conditions. But at Long Lake, I find out it’s 13 more miles. So that means the course is 105-plus miles? Yes, it does. Suddenly, I feel demoralized. Betrayed, even. I didn’t turn on my Garmin until mile 50 (which may or may not have been the actual 50-mile mark), because I wanted to have the comfort of data about miles and pace when I usually need it most i.e. when I get tired. I knew the course was long, but had not realized until my final pass through Long Lake that it’s even longer than the two miles it admits to. Beautiful, but not to be trusted — like a relationship with a really good-looking guy who turns out to be a cheater. My good mood evaporates, along with my hopes for a 26-hour finish. The undulating trail back to Mt Werner seems never ending. 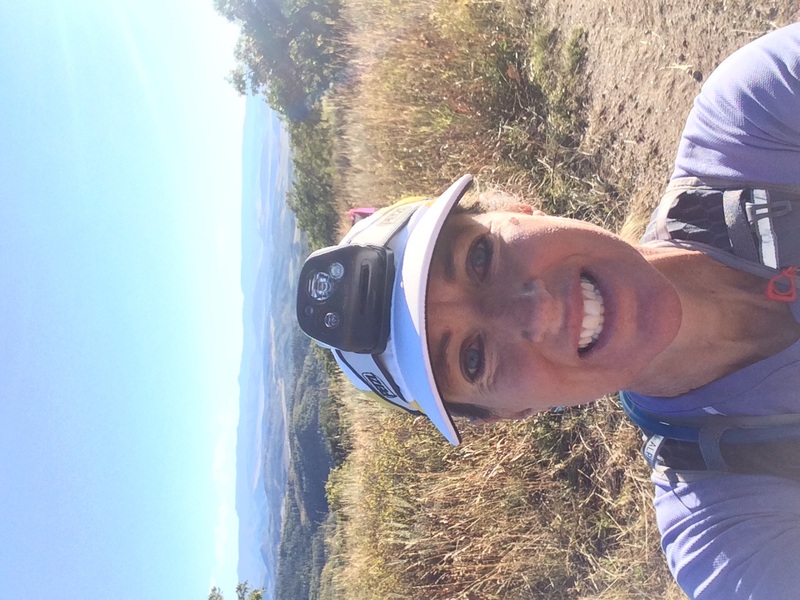 In my deflated, disillusioned state, I walk everything except gentle downhills by now, grumbling under my breath about the unfairness of it all, and about the stupidity of 100-mile races in general. After what seems like hours of wallowing in self-pity, the distinctive smell of marijuana lifts my spirits. Olfactory hallucinations? Is that even possible? No, it’s real enough. I reach a bedraggled tortoise and his pacer, chilling on a fallen tree and passing a joint back and forth. They have decided to get stoned because, they explain, this endless course must be hell, and they might as well make hell a happy place. My feelings exactly! I consider joining them, but know I might never get up if I do. My dark mood is gone. I push my pace a bit more once again. A short eternity later, the Mt Werner aid station appears, a signal that it’s all downhill from there. The final 6 miles, down the dirt road, a much gentler incline than the ski slope we scrambled up so many hours ago. Runnable, non-technical downhill. All the hares except for me, the hare impostor, have probably finished hours ago, but that’s no reason to slow to a death march. I coax my tired legs into a jog, promising them a short walk break after every full mile. It’s not much more than a shuffle, but I pass other runners who are walking, or standing still. Walk a few steps, run again. I almost wish for another uphill, just so I can walk without feeling so wimpy. One more switchback, one more walk break. Finally, a trail turning off to the left, and a smattering of houses ahead. Beyond tired, I alternate shuffling, walking, and stumbling. The ski village comes into view, and the inflatable arch where this race began, more than a day ago. I cross the timing mat, tired, disheveled, elated, happy to be done, yet a bit disappointed that the clock says 26:29 instead of something like the 25-hour time I had envisioned. But I finished. I can stop. When the designated hugger hands me my RRR beer mug, I burst into tears – tears of joy, tears of exhaustion. 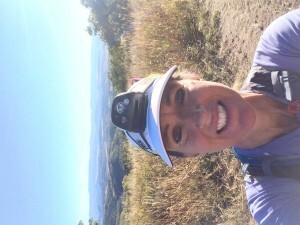 A 100-miler is a physical challenge, a mental test, a spiritual experience even for atheists. It’s also an emotional cleansing, a form of catharsis. I have done it. 105 miles, in tough conditions, solo, without a pacer, without a crew. Later, I hear temperatures have dropped below ten degrees – Fahrenheitn bot Celsius. I also find out that many hares slowed or dropped because of this, and that I finished in 6th place, good enough to win a bit of cash. Suddenly, 26:29 does not seem so slow anymore. This is an extreme race in every sense of the word — extremely well organized, extremely long, extremely challenging. A source of extreme suffering, but also extreme joy. The prize money is just icing on a beautiful cake. Thank you, Fred, Paul, and every single volunteer who puts so much effort into creating a truly outstanding 100-mile race that has already become a classic in the four short years since it started. This entry was posted in Uncategorized on October 4, 2015 by silvakat.